BEIJING April 22, 2012; A Changing economic and regulatory environment, coupled with more products and dealerships, have led China vehicle dealers to report lower profits on 2011 operations, compared with 2010, according to the J.D. Power Asia Pacific 2012 China Dealer Attitude Study(SM). 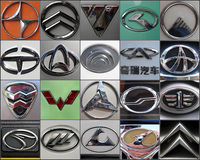 Findings from this annual study on automotive dealer sentiment, which this year includes 1,605 dealers of 38 different brands in 59 cities in China, indicate the percentage of dealers reporting they were profitable in 2011 fell to 63 percent, compared with 81 percent a year ago, and 20 percent of dealers report they lost money on their operations€”up from 9 percent in the 2011 study. "These profit findings are troubling to more than just dealers," said Charles Mills, vice president, global retail experience at J.D. Power and Associates. "Brands need dealers to continue to invest to meet their market potentials, and China customers increasingly expect more from their dealership experiences. This puts brands with lower dealer profitability at a disadvantage relative to competitors." China new-vehicle sales in the first quarter of 2012 increased by just 2 percent from the same period last year. The sluggish sales growth has affected entry-level vehicle segments more than other segments, despite a continued increase in retail gas prices in China. Fuel prices in China are now more than 20 percent higher than the average price in the United States. Typically, consumers trade down to smaller, cheaper and more fuel-efficient vehicles when gas prices rise, but current China market dynamics are challenging this trend. Luxury vehicle sales are continuing to surge, driven by consumers with deep pockets who are less price sensitive, and manufacturer-provided dealer incentives have lowered consumer-facing transaction prices. By contrast, entry-level vehicles are falling victim to the gas-price hype as consumers exhibit a greater level of price sensitivity. The three entry-level vehicle segments€”minicars, sub-compact and compact€”account for 55-60 percent of China passenger-vehicle sales, according to LMC Automotive's China analyst, John Zeng. Sales of entry-level vehicles in the first three months of 2012 declined by 5 percent from the same period last year. Minicars led the deceleration among these three segments, with a 30 percent decline in sales versus the same three-month period in 2011. China domestic-brand sales have been strongly impacted by this situation, as has their dealerships' profitability. On average, dealerships in China currently derive 40 percent of their profits from new-vehicle sales, a proportion significantly higher than in mature markets. As the China automotive market continues to evolve, it is expected that dealerships will gain greater profits from vehicle financing, used-vehicle sales and service and parts. These revenue streams tend to be more profitable than new-vehicle sales, enabling dealerships' profitability to better weather any sales volatility. Currently, new-vehicle shoppers in China have the world's widest range of choices, with 94 brands and 476 models from which to choose. That compares with fewer than 40 brands and nearly 100 fewer models available in the U.S. market, the second-largest automotive market in the world in 2011. LMC Automotive forecasts a nine percent growth in passenger-vehicle sales in 2012, a much lower rate than in previous years when China's new-vehicle sales surged at double-digit rates. China's passenger-vehicle market is expected to grow at a compounded annual rate of 12.4 percent during the next four years and will reach an estimated 20.9 million units annually by 2015. Other findings from the 2012 Dealer Attitude Study provide indicators for what dealers perceive is required for improved profitability. Greater support from automakers, in the form of marketing and incentives; continued focus on product quality; and personnel training are all areas of great importance to dealers this year. The importance of automaker support is emphasized by a finding that indicates there is a strong relationship between dealer perceptions of automakers' performance and dealer profitability, with dealers who are "delighted" (providing a satisfaction rating of 10 on a 10-point scale) with their brand indicating they are more profitable, compared with dealers who provide lower ratings for satisfaction. The brands with the highest level of dealers who are "delighted" also tend to perform well in J.D. Power studies on China automotive customer satisfaction. "Great products are critical, but are only one part of the long-term success equation. Healthy, vibrant dealerships that help differentiate products in this incredibly competitive market are also critical to protecting automotive investments," said Mills. The 2012 J.D. Power Asia Pacific China Dealer Attitude Study will be released on April 27. J.D. Power Asia Pacific conducts customer satisfaction research and provides consulting services in the automotive, information technology and finance industries, from its offices in Tokyo, Singapore, Beijing, Shanghai and Bangkok. Together, the five offices bring the language of customer satisfaction to consumers and businesses in China, India, Indonesia, Japan, Malaysia, Philippines, Taiwan, Thailand and Vietnam. Information regarding J.D. Power Asia Pacific and its products can be accessed through the Internet at www.jdpower.com. Media e-mail contact: ellen_wang@jdpa.com. McGraw-Hill announced on September 12, 2011, its intention to separate into two public companies: McGraw-Hill Financial, a leading provider of content and analytics to global financial markets, and McGraw-Hill Education, a leading education company focused on digital learning and education services worldwide. McGraw-Hill Financial's leading brands include Standard & Poor's Ratings Services, S&P Capital IQ, S&P Indices, Platts energy information services and J.D. Power and Associates. With sales of $6.2 billion in 2010, the Corporation has approximately 21,000 employees across more than 280 offices in 40 countries. Additional information is available at http://www.mcgraw-hill.com/. LMC Automotive, formerly J.D. Power Automotive Forecasting, is the premier supplier of automotive forecasts and intelligence to an extensive client base of automotive manufacturer, component suppliers, logistics and distribution companies, as well as financial and government institutions around the world. Its global forecasting services encompass automotive sales, production and powertrain expertise, as well as advisory capability. LMC Automotive has offices in the U.S., the UK, Germany, China and Thailand. It is part of the Oxford, UK-based LMC group, the global leader in economic and business consultancy for the agribusiness sector.